Travelling with someone reveals a lot about that person, but in this time-strapped age going on a road trip adventure isn’t always feasible, especially if they are celebrities who have a film to roll out that weekend. But Gulf News tabloid! 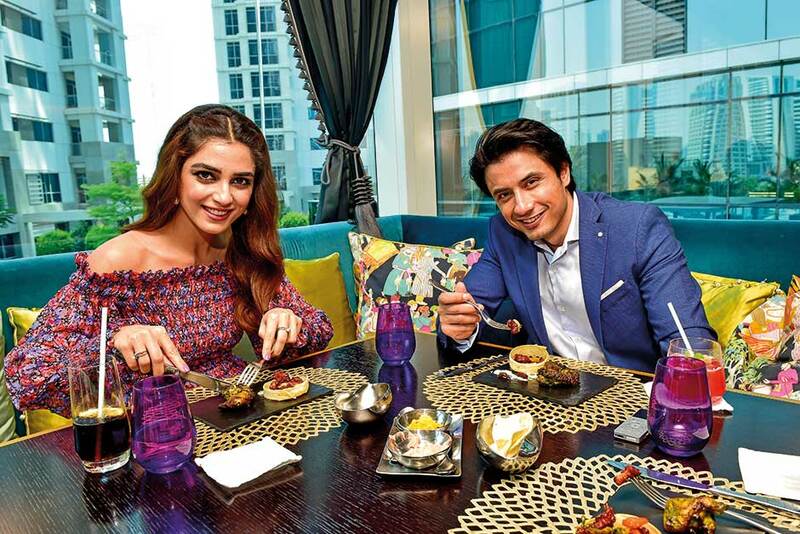 did the next best thing in Dubai as Pakistani singer-actor Ali Zafar and Maya Ali, his co-star from his debut production Teefa In Trouble, swooped into the UAE for a fleeting press junket. Last Friday, we took them out to brunch so that they could experience one of Dubai’s famous Friday traditions. The proverbial gravy? We gleaned far more about Zafar, his discovery Maya Ali, his eventful life, his humble beginnings and his troubled present where he’s battling allegations of sexual harassment made by singer Meesha Shafi in court. Perhaps it’s the sumptuous food served at the Bombay Brasserie in Taj Dubai or the riveting company, but there’s no better known lubricant than perfectly-cooked seafood kebabs and crunch chaat (Indian street-food delicacies) to get the conversation going. Naturally, we addressed the white elephant — Meesha Shafi’s sexual harassment charges — in the room and Zafar responded with a fatalistic fervour, but we also spoke about different topics under the sun such as taking the much-needed vacation with his family after the release of Teefa In Trouble on July 19, his bizarre anecdote of painting along with Salman Khan during his Bollywood stint and his propensity to dish out life lessons with studied ease. 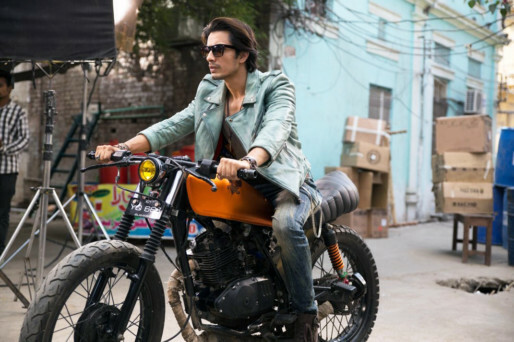 Ali Zafar and Maya Ali in ‘Teefa in Trouble’. “As Michelle Obama said in her speech: ‘when they go low, we go high,” said Zafar, when asked about reports that he tried to sabotage a young artist’s career. Despite the stakes being high both on the professional and personal front, Zafar — who has acted, produced, sung and written the dialogues of his ambitious $1.6 million film — cut a relaxed figure. The father of two isn’t finicky, except his request for gluten-free food, and gave us plenty to chew on in the course of our decadent brunch. Ali Zafar, Maya Ali and Javed Sheikh. Pakistani TV actress, who makes her film debut with Teefa In Trouble, had an eventful audition. She had to act out a scene where she speaks a long dialogue. “It was so bad. It was pathetic, you have no idea. I was shivering and there were reams of words that I had to speak. At one point, I asked if I could do the audition without wearing my heels. He [director Ahsan Rahim] looked at me bizarrely wondering what’s the connection between heels and a good audition? !,” said Maya Ali in an interview with Gulf News tabloid!. But Teefa In Trouble makers, including actor-producer Ali Zafar, didn’t give up on her. Zafar’s brother was also her biggest fan. Ali was called back for another audition and she came out with flying colours. “Teefa In Trouble is going to change the landscape of Pakistani films,” said Ali. Meanwhile, producer-actor Zafar had just one question. “My first conversation with Maya went around the lines of do you have any issues in life? Food issues, attitude problems or punctuality issues,” said Zafar with a laugh. Ali Zafar was discovered by Pakistani make-up artist Nabila, founder of Zero Makeup, when he was 18. “When I was sketching in the hotel lobby, make up artist Nabila spotted me and said I should be a model. She called me for a shoot the next day and predicted that I would be a big star one day.” said Zafar. Nabila did his hair for a song in Teefa In Trouble.